Did you know today is National Proposal Day 2018? It’s a great to remind you that it’s time to get your private beach yoga sessions scheduled! 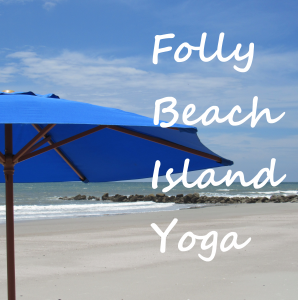 Beach yoga is such a special activity to add to your schedule whether you’re planning a mini vacation getaway with the girls for your Folly Beach bachelorette party (or guys—a healthy bachelor’s party anyone? ), want a relaxing class to kickoff to your Charleston area wedding weekend for the entire wedding party, or even as a special grounding and centering one on one, or couples, session on your wedding day. We do extend our U.S. military and service veteran discount to all private sessions, including bridal, bachelorette, and bachelor party yoga. Contact us today to schedule your private sessions! And yep–that’s two of your Folly Beach Island Yoga certified yoga teachers walking back to the party from their own magical Folly Beach wedding in the pic above! Give the perfect gift to any yogi in your life with gift of yoga! 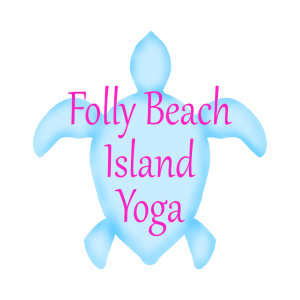 Folly Beach Island Yoga gift certificates are now live and available for purchase online! They come in a couple of cute designs including Birthday party balloons and a pink cartoon rose theme. Our gift certificates are a thoughtful way to cheer up a friend, inspire a new yogi to give yoga a try, pamper a loved one, or to celebrate any of life’s many beautiful milestones. Our gift cards are accepted for beach yoga classes, yoga upstairs at St. James Gate, small group sessions, private sessions, bachelorette parties, and more! They also make the perfect last minute gift for any health conscious friend or anyone who could just use some time to relax, rejuvenate, and take some time to care for themselves. Matt & I also exchanged vows on these same sandy shores, and I can honestly say I still get misty eyed when I see a bride on the beach. Whether simple or grand, there’s just something magical about a Folly Beach wedding! Yesterday we covered the bachelorette party — but what about the rest of the bridal party? We have you covered there too! We offer yoga classes for the wedding party, the bridgesmaids, groomsmen, or we can coordinate separate wedding day sessions for the brides and grooms. We’re still wading through the process of getting approval to teach classes on the sand at Folly Beach. We’re not sure how this will all turn out, but wanted to share our Facebook page. We are presently accepting private clients and small group classes at houses and rentals on the island. Please stay tuned and say a little prayer for us that this all works out! To catch an open beach yoga class on Kiawah Island, SC with us contact us or check out the schedule at KiawahIslandYoga.com for more details or to schedule a private or small group yoga lesson.